Raymond Pai is a Lecturer of Cantonese at UBC. He teaches all levels of Cantonese courses and collaborates with the local community and organizations on various projects related to Cantonese and its culture. He received his BSc in Human Biology from the Chinese University of Hong Kong, then MA in Linguistics and TESOL certificate from Brigham Young University. 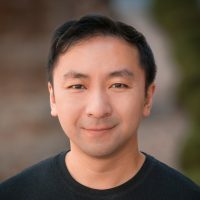 Having taught Chinese at the Defense Language Institute and the Middlebury Institute of International Studies in Monterey, California, he currently is the Cantonese examiner for the University of Arizona. He is also an American Council on the Teaching of Foreign Languages (ACTFL) certified Cantonese Oral Proficiency Interview (OPI) tester.